Evelyn Waugh is one of my favorite writers. 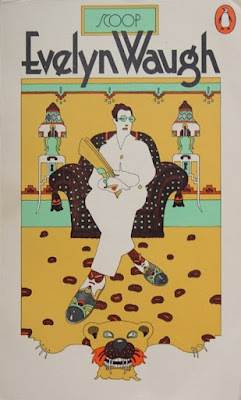 Brideshead Revisited and his Men At Arms WWII trilogy are brilliant novels, and as a writer, my personal favorite is Scoop, a grand satirical novel about journalists. So it pains me when otherwise intelligent people tell me that they've not read Waugh and/or never heard of him. Perhaps even worst, Time magazine called Waugh one of the most-read female writers. Stefan Kanfer at the City Journal offers his response to this outrage. Last week, newspaper city rooms were alive with the sound of schadenfreude, and Twitterers tweeted about the latest display of ignorance in Time. To watchers of newspapers and newsmagazines, the incident came as no surprise. During the still-young millennium, ad dollars have fled from traditional periodicals to television and the Internet. Result: Shrinking readership, diminished staffs, and outsourced research. In Time’s case, the publication relied on a data-compiling site, the Open Syllabus Project, for a list of the most-read female writers in college classes. Number 97 was Evelyn Waugh. The trouble is, Waugh was a male. As a former Time reader, for one, and as a former Time writer and editor, for two, I can testify that my colleagues and I were quite familiar with the great comic novelist. 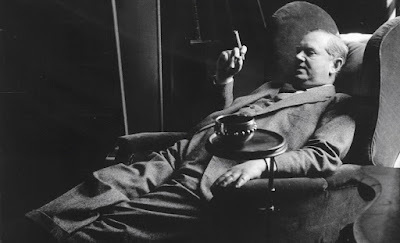 We knew no writer sharper or funnier than Evelyn Waugh when he satirized upper-class excess in Decline and Fall, Vile Bodies, and Black Mischief. The demolition job on the press in Scoop, a dazzling take on Italy’s 1936 war on Abyssinia as seen by a group of mendacious British newsmen, has never been equaled. I wouldn’t hire a writer who hadn’t read Scoop; it remains the manual on the malpractice of journalism across the pond and in the colonies.